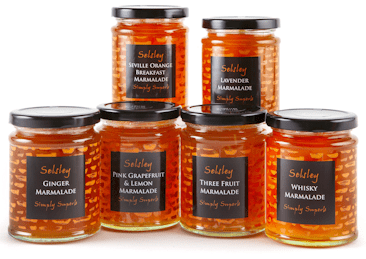 We pride ourselves on the range of preserves we produce. From our perennial favourite of Whisky to the delightful Ginger and the pleasure of Lavender. Spread a little sunshine on your breakfast toast! For ginger lovers – breakfast just got even better. Orange marmalade with the summer sweetness of lavender. A breakfast favourite. Bring on the toast. A fresh tasting marmalade mellowed by adding fine Scotch whisky. A luxury breakfast treat.